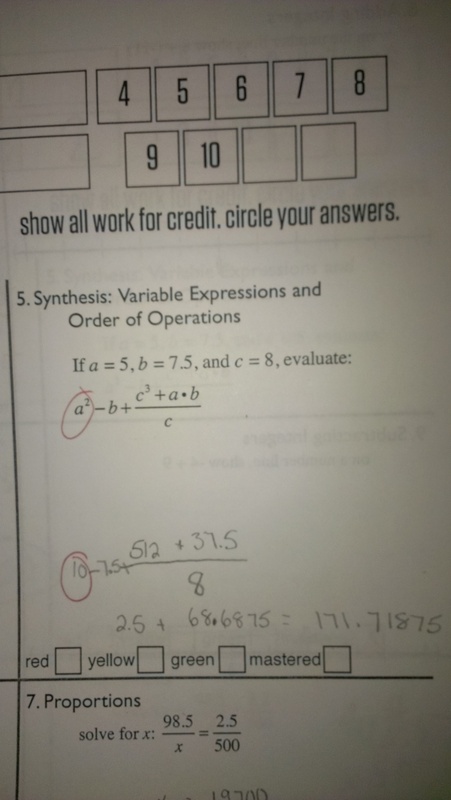 Would the student have made this mistake if she were just given to evaluate? If yes, then what’s the misconception. If no, then what’s going on? Oh, and go check out Chris Robinson’s stuff, and go follow him on twitter. Posted in exponents, Expressions and Equations, Feedback.